The LIF10YPEW uses photoelectric technology and is powered by a non-replaceable sealed 10 year lithium battery. 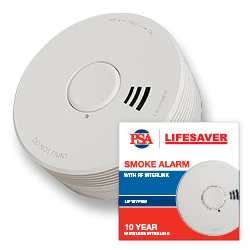 The PSA LIFESAVER LIF10YPEW smoke alarm has a built in RF wireless interlink control and can interconnect up to 24 units. 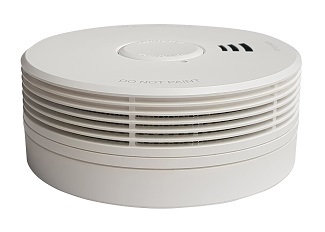 It is compatible with the LIF5800/2 and LIF5800RL/2 mains powered smoke alarms which are fitted with the LIFWMB2 wireless base plate. Tested & Complies to the latest AS3786:2014 standard. 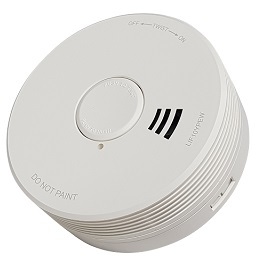 Bought because of radio link to suit current situation i am faced with alarms connecting with each other related to new regulations.. If I was able to link another product by cat cable etc I wouldnt use this product because of its cost. Pricing for this product overall on the net is outrageous.